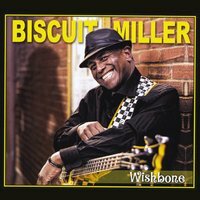 Tuesday Bluesday w/Biscuit Miller and The Mix! For longtime region folk, you’ll remember Biscuit during ‘Bugsy’s’ heyday in Highland. A longtime bassist for the legendary Lonnie Brooks as well as his son, Ronnie Baker Brooks, Biscuit was a regular standout at the now defunct club who hosted a who’s who of blues legends during the 90’s. Now based out of Florida, Biscuit makes a rare visit to the Chicagoland area, returning once again to Beer Geeks! Biscuit and his band, The Mix, have been touring extensively ever since he won his first BMA in 2012. Biscuit is known for his high energy shows and blazing million dollar smile. He is a born entertainer and is at home on the stage where he connects with his audience through a fun and funky approach to the blues. But don’t let the fun and food songs fool you! This is a dedicated group of musicians with an amazing depth of talent. Only $5 at the door!